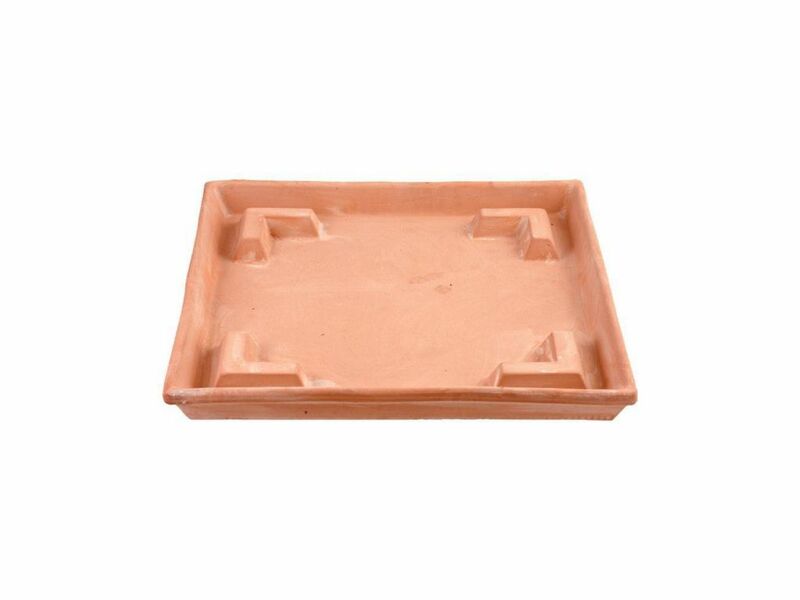 Square terracotta flowerpot holder, only for indoor use. This flowerpot holder is sold only with pots. This flowerpot holder is endowed inside with raised feet that allow plants to breathe and allow the insertion of copper wires that function as mosquito repellent.